« God said: Let the Earth produce vegetation, seed-bearing plants, trees bearing fruit with seed, each according to its kind, upon the Earth. plants bearing seed according to their kind and trees producing fruit which has seed, according to their kind. God saw that it was good. » (Bible, Genesis 1:11,12). Lupinus L. is a very large genus, one of the most complex in the Fabaceae (Leguminosae) family. It comprises herbaceous, prostrate and shrubby plants with regular "papilionaceous” flowers assembled into a terminal raceme. Its rich diversity of species can be subdivided into the Mediterranean and East African or "Old World” group of species and the American or "New World” group. The existing worldwide deficiency of protein draws special attention to lupin. In the Nordic countries, Russia, Belarus, Poland and others, where climatic resources are too limited for soybean cultivation, lupin in the long run is able to play the role that soybean has gained in the U.S., i.e. it may become a highly efficient source of vegetative protein. Special interest in lupin is stirred up by high content of protein in its seed (up to 50%), as well as of oil (from 5 up to 20%) whose quality is close to that of olive, and by the absence of digestion inhibitors and other anti-nutritional substances. Lupin seed have been used since ancient times as human food and animal feed (Kurlovich, 2002). Green mass of low-alkaloid (sweet) varieties is also excellent forage. Due to their symbiosis with nodule bacteria lupins are capable to accumulate in soil up to 200 kg of nitrogen per hectare, thus being perfect symbiotic plants. Utilizing lupin as green manure helps to protect environments from pollution, go without expensive fertilizers, and obtain ecologically clean products. Management and coordinating functions in lupin research have been delegated to the International Lupin Association (ILA). It organizes International Lupin Conferences. Lupins have been employed in agricultural practice for more than 2000 years. They served as food in the early Egyptian and pre-Incan civilizations and were promoted by Roman agriculturalists for their role in soil fertility. The early 20th century saw the first steps taken to turn lupin from a wild or semi-domesticated form into a modern crop plant. This work was pioneered by German and Russian scientists who screened thousands of lupin plants. Their goal was to cultivate a "sweet” variety. The bitterness (due to a mixture of alkaloids) is undesirable in animal feed and human food, and has impeded lupin’s widespread use for these purposes. It should be noted, however, that the progress achieved by man in domestication of lupins is rather modest. Of several hundred lupin species existing in nature, only a few are used in agriculture. Meanwhile, many wild species of lupin are promising for agricultural use. Besides, further efforts are needed to solve the problems of plant resistance to diseases and pests, higher adaptability to unfavourable environmental factors, and breeding of forms with high technological properties for agricultural production. With these goals in view, special significance is acquired by scientifically justified selection of breeding sources, diversity of such materials, and the degree of comprehensiveness in studying them. A constraining factor for lupin’s wider utilization is its confused specific structure. Nobody can tell with confidence how many species of Lupinus L. exist on the earth. One of the reasons of lupin’s taxonomic complexity is the difference between the quantity of species’ names and truly legitimate taxa whose numbers vary widely from 200 to 1700 according to different sources. Many authors have contributed descriptions of the species, but the majority of botanical names are from the Signatures in Species Lupinorum (Smith, 1938‒1953) by C.P. Smith (1877‒1955). He worked on his own taxonomic Lupinus project in California. 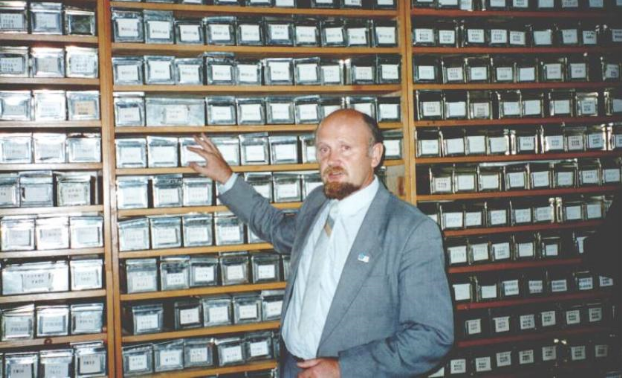 That author’s tireless efforts to study collections in North American and European herbaria resulted in describing hundreds of new species and pseudo-species from North and South Americas based only on trivial characteristics. Consequently, many of his taxa are now considered as synonyms. Smith made a big mess in lupin systematics, and it has not been disentangled till now. 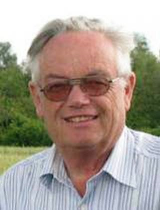 Atabiekova (1962) called him the greatest fumbler in lupin systematization ("splitter”). The most serious attempts to correct the existing situation have been undertaken by Dunn (1955, 1966), ;, Christopher et al., 2012, and Planchuelo (1984, 1994, 2013). Our contribution to lupin systematization lies in updating the volumes of two subgenera in Lupinus L. (Subgen. Platycarpos (S.Wats.) Kurl., and Subgen. Lupinus), and also in the development of intraspecific taxonomic and eco-geographical classifications of three annual lupin species from the Mediterranean ( L. albus L., L. angustifolius L. and L. luteus L.). 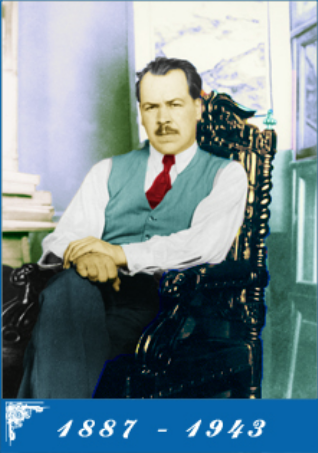 Nikolai Vavilov (1887–1943) is recognized as the foremost plant geographer, botanist and geneticist of contemporary times. In the early 20th century, the world did not appreciate the urgency of protecting the environment and scientists thought little about the gradual disappearance of valuable plant species. Vavilov was among the first to recognize the need for intensive plant collecting, research and preservation. He organized and took part in over 100 collecting missions in the major agricultural areas of the world. During these expeditions, Vavilov paid special attention to leguminous crops as sources of protein and as means of increasing soil fertility (Sinskaja 1991). He considered these issues to be of the highest priority in biological and agricultural sciences for developing sustainable agricultural production. We have used the methodology developed at the Vavilov Institute specifically for lupin (Kurlovich et al., 1990). Research material was also obtained from the lupin collection of the Vavilov Institute (St Petersburg, Russia) which comprises 2,000 accessions of more than hundred lupin species from America, the Mediterranean area and Africa. Many years of monitoring the collection accessions planted in many countries have enabled us to find new regularities in the variability of characters, depending on genetic features of the species and accessions, and also on ecological and agronomic conditions of their growth. We have also disclosed new characters and their combinations, both taxonomically significant and genetically determined. This factor, as well as generalization of the data obtained by other researchers (Zhukovsky, 1929; Kazimierski and Novacki, 1961; Gladstones, 1974; Maissurjan and Atabiekova, 1974; Kazimierski and Kazimierska, 1975) made it possible to introduce essential corrections to the inter- and intra-specific taxonomic and eco-geographic classification systems of lupins. 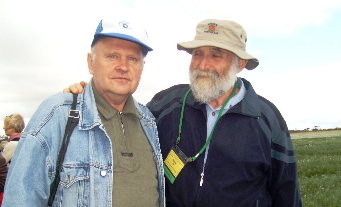 For quite a long time I myself worked at the Vavilov Institute of Plant Industry (VIR), St Petersburg, Russia. Accordingly, our classifications were developed on the basis of Vavilov’s concepts (the doctrine about the species as a system, the law of homological series in hereditary variation, differential systematic and geographical method of crop studies, and the theory of the centres of diversity). We hope that researchers of lupin will really appreciate the real quantity of existing lupin species on the American continent in the near future!